When you take a photo with your phone or a camera, the photo will either be in landscape mode or in portrait mode. However, there will be times when you need to make a photo square without losing any details. The most common ways to make a photo square is either to resize or crop the picture. When you resize, you may distort the image. When you crop, you may lose a lot of details in your photo. 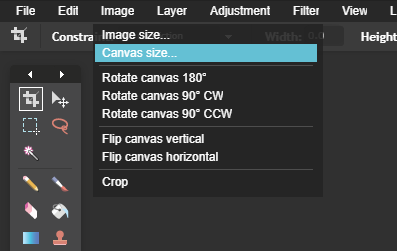 To deal with that you can simply resize the canvas. Here’s how to do it. 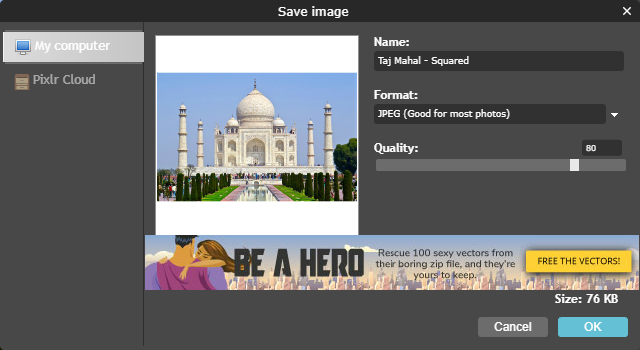 To make photo square without cropping, we are going to use a free tool called Pixlr. Being a web tool, it is operating system independent and you can use it right in your web browser. 1. 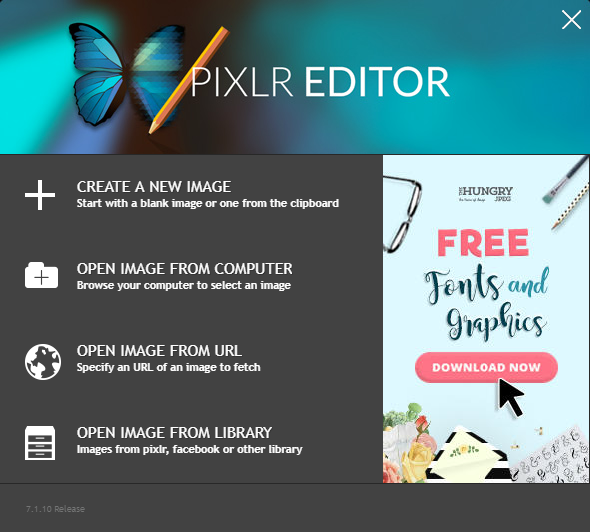 To start off, head over to the Pixlr site and select the option “Open Image from Computer”. 2. 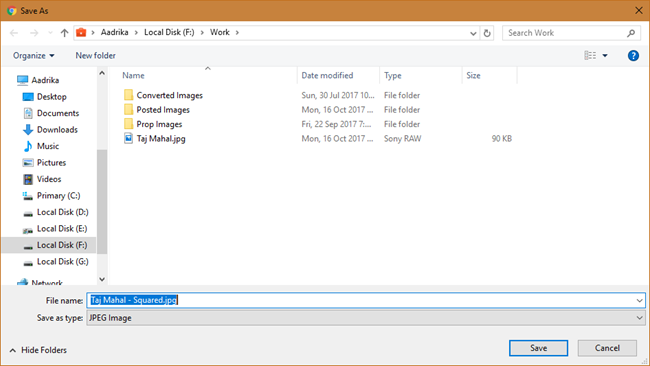 In this window, navigate to the folder where your photo is stored, select it, and click on the button “Open”. 3. The above action will open the photo in Pixlr editor. 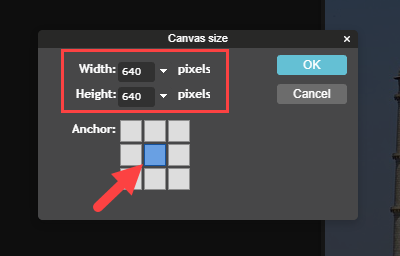 Now, click on the option “Canvas Size” under the Image tab. 4. For a landscape image, match height with width. For a portrait image, match width with hight. Since my photo is in landscape mode, I’m changing the photo’s canvas height to match the width. 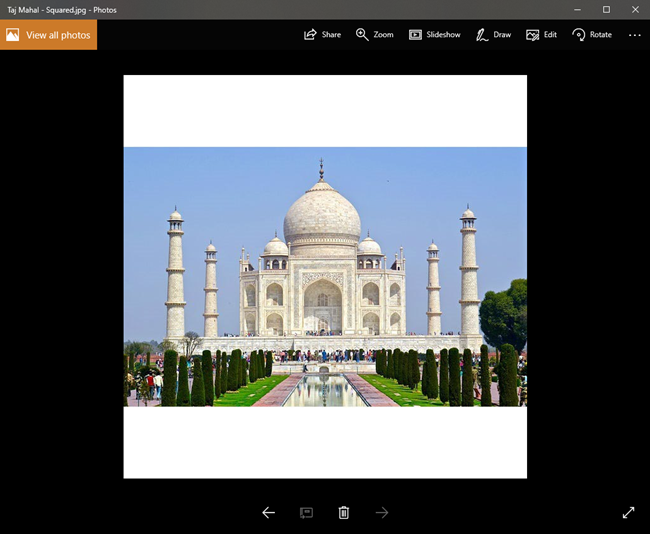 Select the “Center” tile next to “Anchor” to center the photo in the canvas. After you are done with the changes, click on the “Ok” button to apply the changes. 5. After applying the changes, this is how it looks like in the Pixlr editor. As you can see, we’ve added white space both on the top and bottom of the photo to make it square without distorting or losing details. 6. 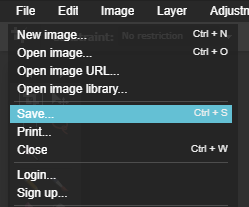 To save the photo, select the option “Save” under the File tab. 7. 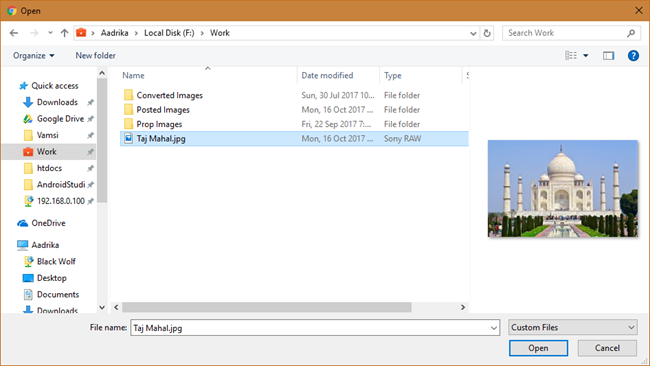 Enter a new name for the file, select “JPEG” format, leave the quality setting at default and click on the “Ok” button. 8. In this window, click on the “Save” button to save the photo. 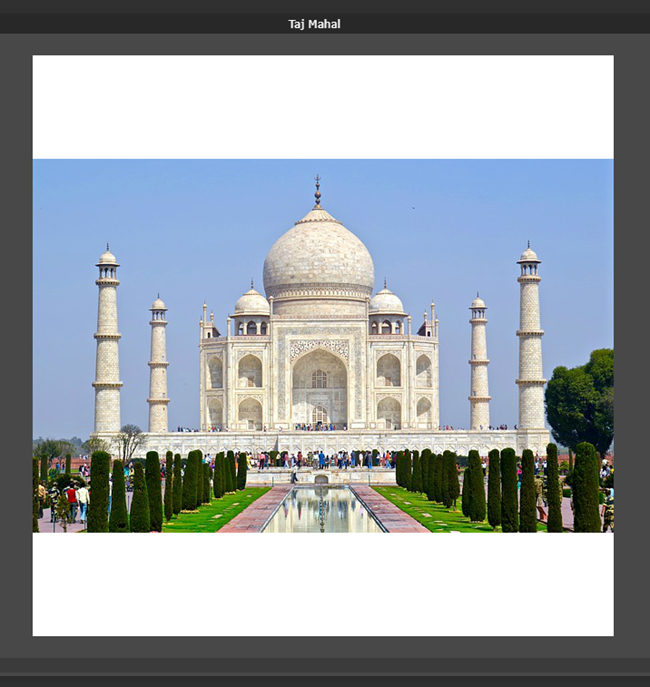 If you open the downloaded photo in with the image viewer of your choice you can see that the photo is squared. 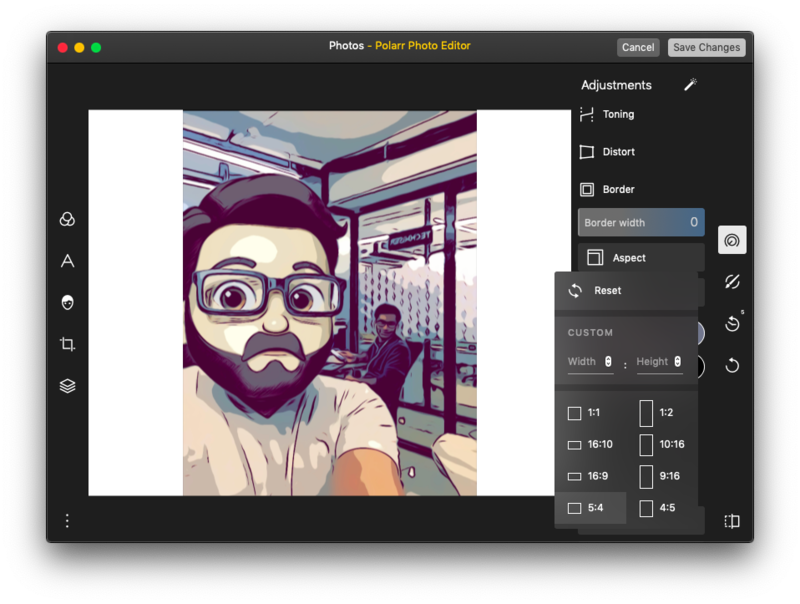 Polarr Photo Editor is available on the macOS App Store and could be used as integration to iPhoto editor or a separate editing tool altogether. 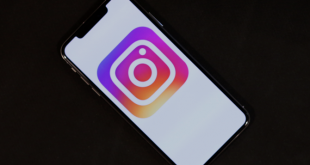 Although it is not specifically made for Instagram, the tool helps you to get square photos by adding padding. Once you download the Polarr Photo Editor, open the editor app and import the picture. Once the picture loads, click on the adjustments tab on the right side of the screen. Scroll down and click on ‘Border’. Now select the aspect ratio and border color from the custom menu available. Clicking on save will save changes to the photo and iPhoto library will be updated immediately. 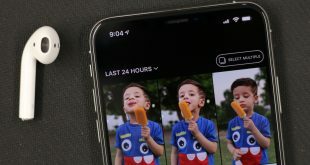 If you are using an iPhone, it’s probably in your iPhone photo library as well. Square Size No Crop Photo Maker is a Windows app which does what is required from it. The app is available on the Windows store and could be downloaded for free. Once downloaded, open the app and click on the gallery tab to select a photo to be imported and edited. After a photo is imported you’ll see a number of editing options at the bottom. You can select solid or blur backgrounds. Additionally, you can select from multiple editing options like stickers, effects etc. Once you’re done editing the image, click on the download icon on the top right. If you are not able to see some options or the download button, switch to full-screen mode. The app seems to be optimized on for full-screen use. 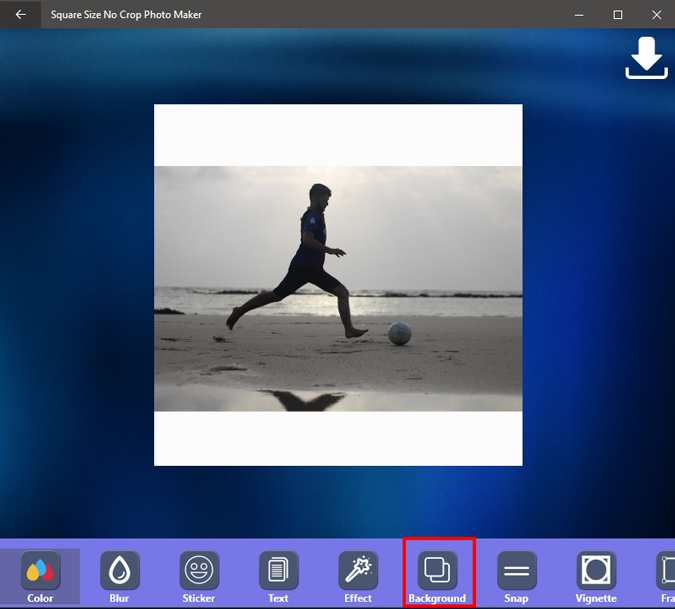 We saw some free apps and workarounds to make photo square without cropping. 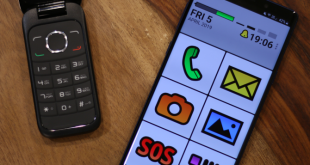 One thing that is common with all of these options is – you either need to download third-party apps or go through a number of steps before you get the desired photos. 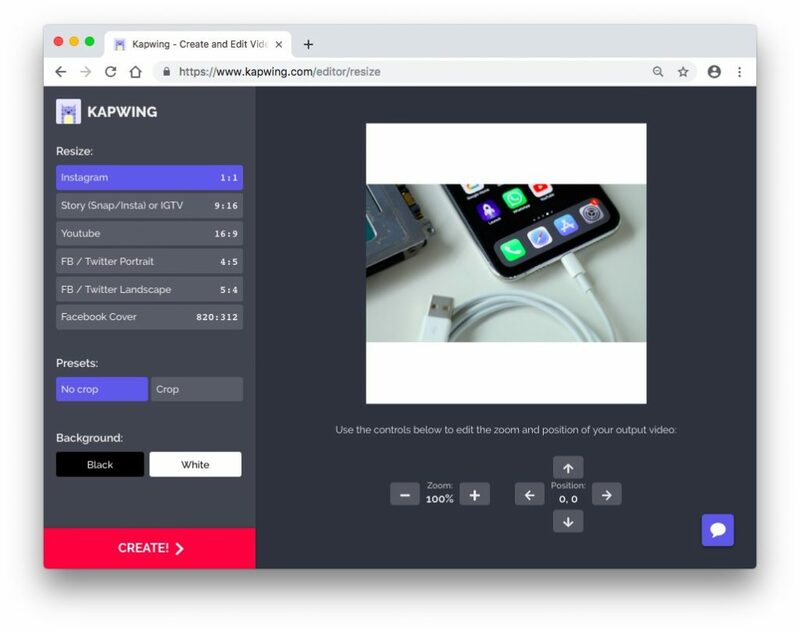 You are looking for a one-click process and are comfortable spending a few extra bucks, I’ll recommend using sites Kapwing. All you have to here is upload the picture (or even a video file) and choose a background color (white or black) and that’s it. One caveat though, you’ll have to spend $6 to download the watermark free images.